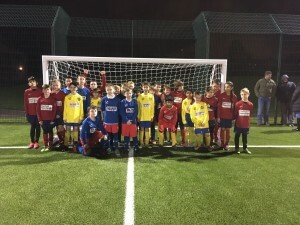 The Year 4 footballers put in some fine performances at the Leeds United Foundation 6 a side tournament held at Carr Manor High School. 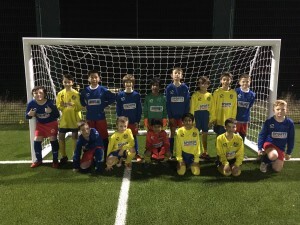 The team worked hard and played some good football in all 6 of their matches. They won 3, drew 1 and lost 2 -most importantly they all enjoyed themselves and showed great team spirit throughout the afternoon. Year 4 march on to the next round of the Datacable Cup with a tremendous 4-1 win against St. Josephs Primary School Wetherby. Well there’s not much I can say other than what a fantastic performance! 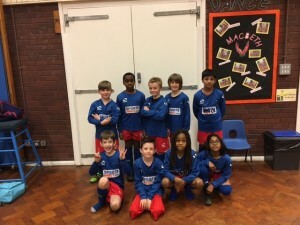 The year 4 footballers really did shine, they played brilliant football from start to finish and all involved were exceptional. Allerton took the lead within the first 5 minutes and there was never any doubt as to who was going to win. It didn’t come easy though as St. Jospeh’s put in a great performance but Allertons work rate, attitude and team work prevailed.